Braxton Bundick is a busy man these days. Standing in the Dena'ina Civic and Convention Center lobby Saturday morning, he greeted friends, texted with volunteers, and answered calls coming from two different radios that he had strung around his neck. Bundick, the director of anime and gaming convention Senshi Con, looked happy as attendees poured into the center. "Oh man, it's astounding," he said, noting that this year they sold out. 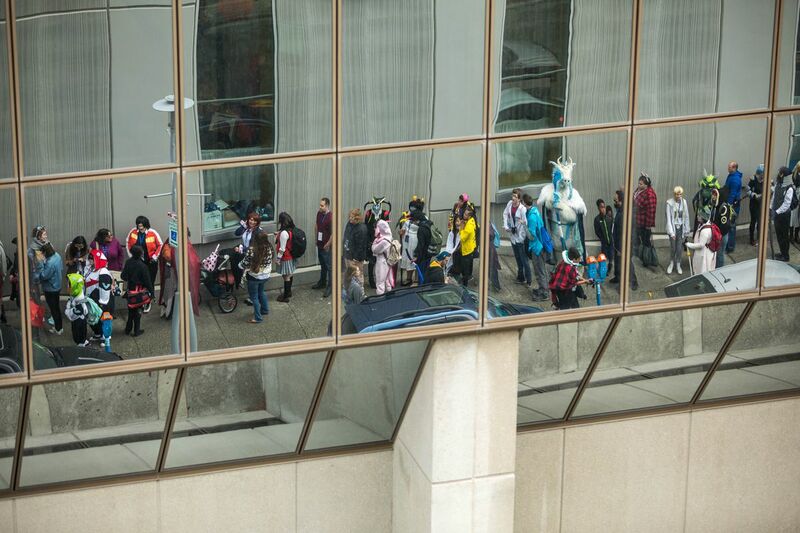 Senshi Con was started in 2005 by students from the West High anime club and the Dimond High video game club. In 2006 it moved to UAA, and by 2013 had grown large enough to move into the Egan Convention Center. 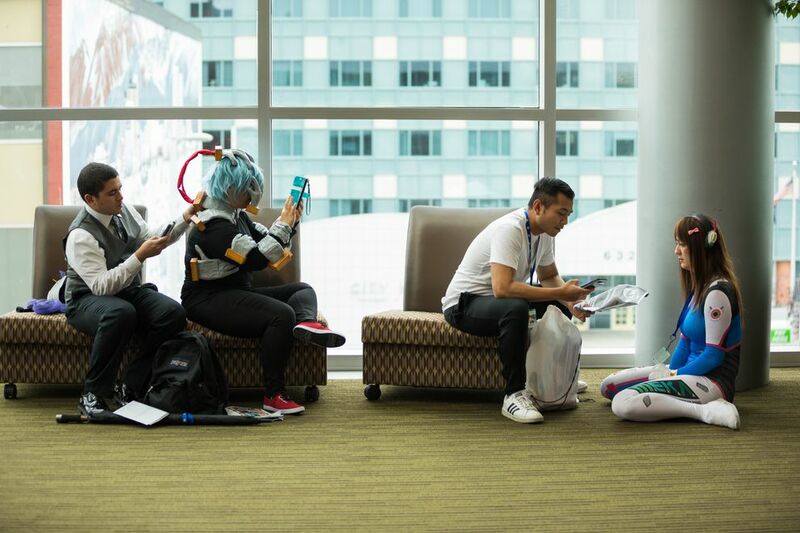 By 2016 the convention had outgrown the Egan Center, and it moved in 2017 to the Dena'ina, one of the city's largest convention spaces. This year it sold out the Dena'ina Center. 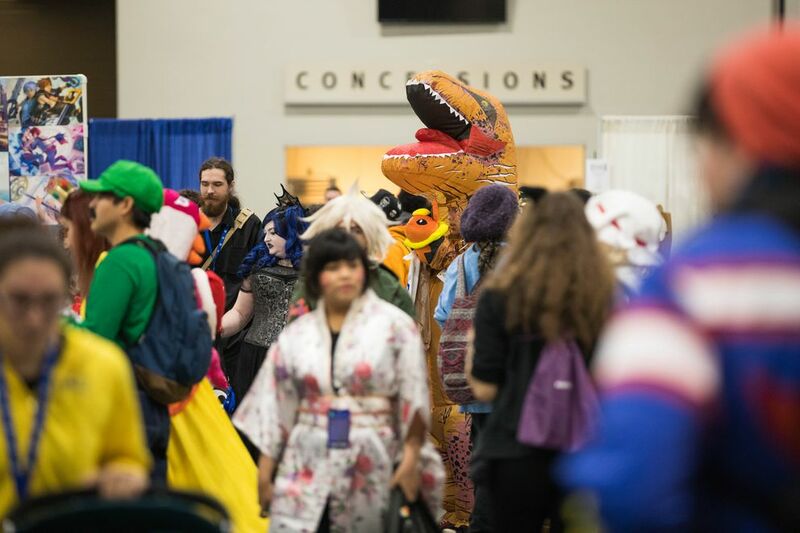 If the convention continues to grow, organizers may have to look at using multiple venues, such as both the Egan and Dena'ina, said Bundick. "This is comforting to see," said Bundick. "Everyone from any genre of nerdom gets to be in a safe place and not be judged. I hear stories of kids being bullied at school and they don't get bullied here. It's a safe place."